In a Belgian chocolate shop in Hanoi I picked up a bottle of Argentinian wine. I fancied a bottle of red. 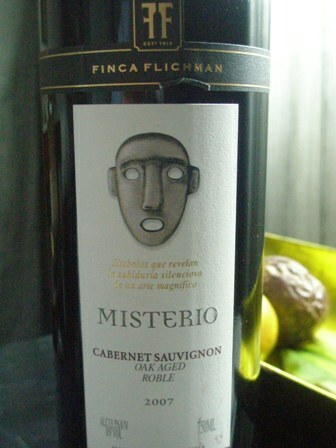 My choice was a ‘2007 Misterio Cabernet Sauvignon’ by Finca Flichman, Mendocino, Argentina. I know that the Argentinians keep their best wines for themselves. 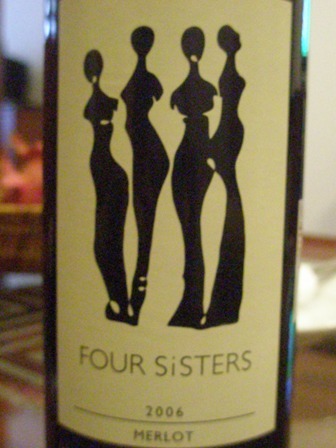 Anyway, I liked the name and the label of the wine. I should have been warned, because the label said “oak aged”, and an “oaky” taste it was. Frankly speaking I was quite disappointed. Somehow the fruit was dull and I could not get my palate around it. 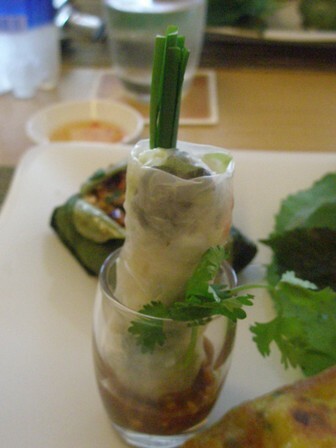 Also the finish was not to my liking, it was a metallic taste which was left in my mouth. 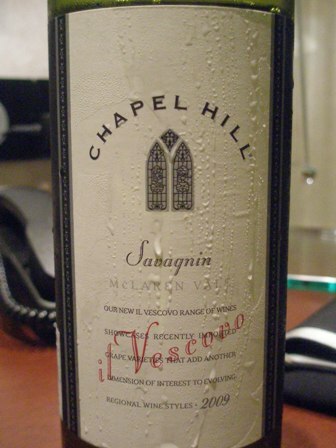 86 Parker point were awarded to this wine. Maybe the circumstances of my tasting were not right. Finca Flichman is one of thew oldest and most respected wineries in Argentina. The Flichman family tradition goes back to 1873. Today the winery is owned by the Portuguese wine maker Sogrape. The Flichman Chardonnay and Malbec wines are the most famous. I will look out for them and give it another go. A couple of weeks ago when I visited Shanghai I ended up in a very nice watering whole, the Bund Brewery. The brewery is located in one of the side-streets of the famous stretch along the Bund where droves of people stroll along the river and enjoy the spectacular city scenery. The Bund Brewery is a crowded and noisy place, full of Chinese customers interspersed with a couple of foreign tourists. 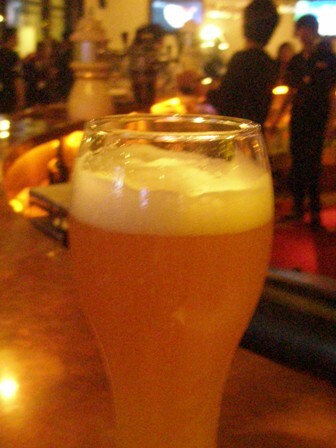 I went straight to the bar and ordered what my neighbor was drinking, a wheat beer. I should not regret it. The beer was very nice, just like a good Bavarian wheat beer. Excellent, and not too expensive. Later I had some snacks as well. 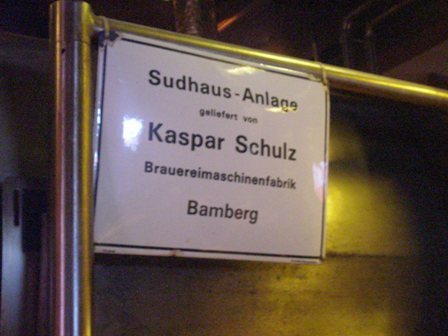 When looking around I realized that some of the equipment came from Bamberg in Franconia. I had to take a photo of the plaque. 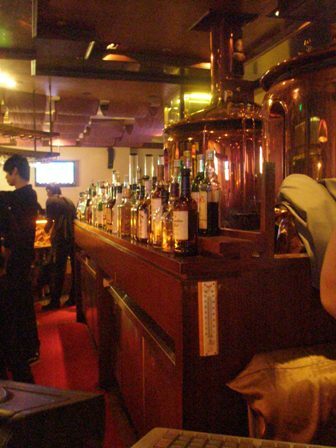 If you stroll along the Bund and you do not want to visit one of the many posh, elegant and exclusive cocktail bars, the Bund Brewery is the right place for you, a true “people’s place” for common folk and others alike. One of the many good things in Vietnam is, that there is plenty of wine available (another one is that the Vietnamese seem to have capitalism in their blood – I love capitalism). 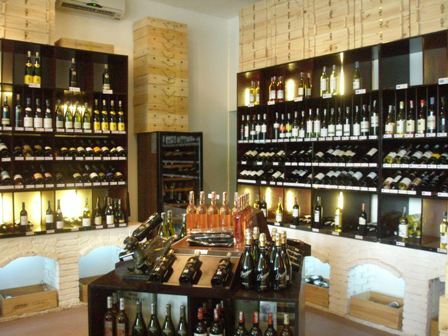 When strolling through the streets of Hanoi and Saigon I was always on the lookout for wine shops. 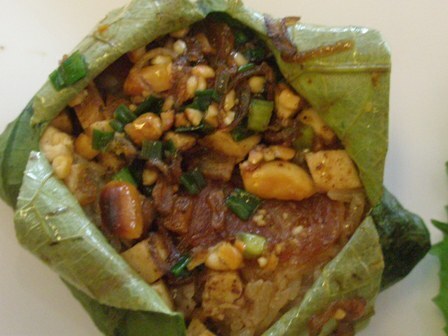 In Saigon I found Bacchus Corner, not far from the Rex Hotel, the hotel with the famous terrace. 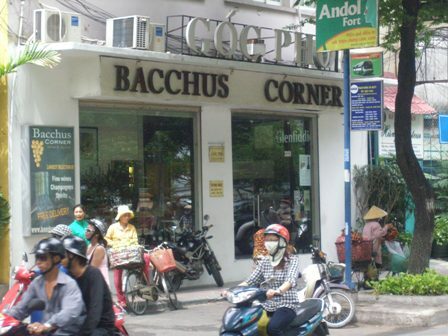 The internet says that there is also a Bacchus Corner in Hanoi, but I did not manage to get there. 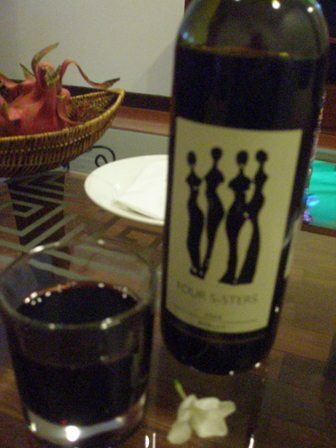 Thanks god that he Vietnamese have no local wine industry to protect like the Thais, and therefore wine prices are not too high, though still far higher than in Australia or Germany. When I took the photo above I was overcome with joy. I had walked the city for about one hour and could not spot a single place where wine was on sale. Alas, Bacchus Corner came into sight. But first I had to cross a busy street with millions of motorcycles – after more than 20 years in Asia I am experienced at that. The staff was extremely helpful and very friendly. 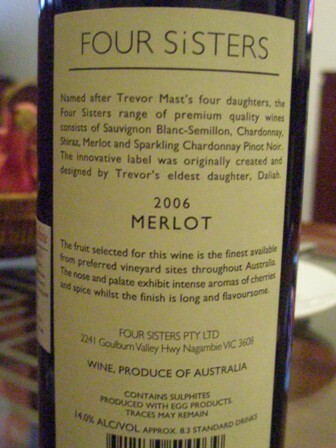 I browsed through the wine on offer and settled for a bottle of Four Sisters 2006 Merlot. 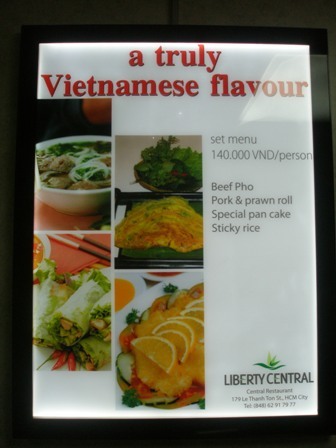 For 380,000 Dong (US$ 1 = 19,000 Dong) it did not come cheap. Most wines were beyond my reach financially. But there must be a market for such pricey wines. Bacchus Corner also offered excellent whiskeys, cognacs, brandies and other spirits. If you are looking for a hard to get vintage wine, go to Bacchus and ask them to get it for you. Since the shop is still in the setting-up stage (one room was still being renovated), you will have great prospects to get a real treat, I guess. 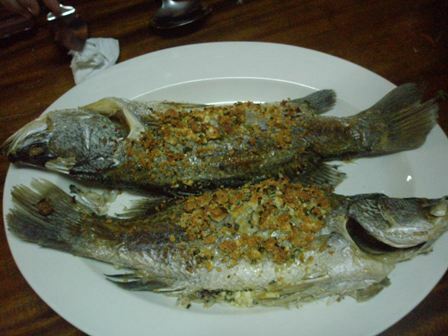 I just love to eat fish, all kinds of fish. 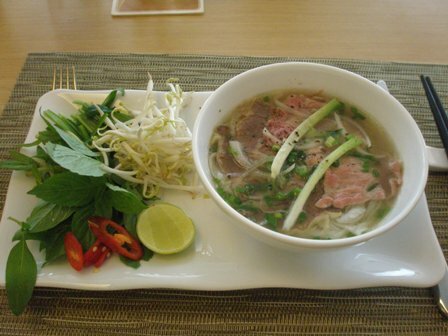 And there is good fish on offer in the markets of Bangkok. 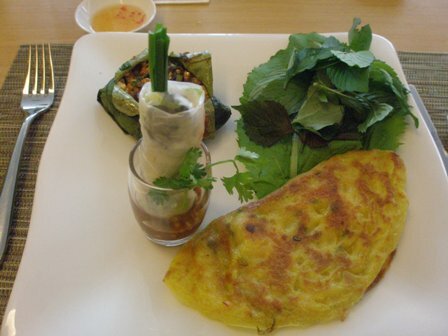 Often we do not have carbohydrates with it. 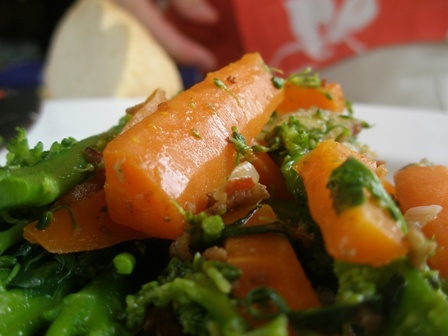 But veggies are a must. They are a great complement for the protein. 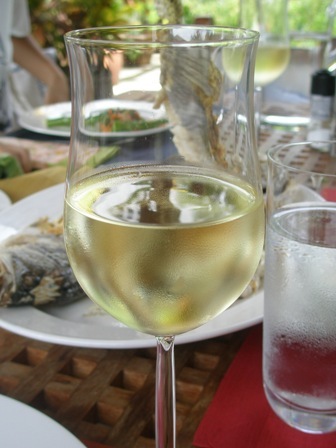 What you need in addition is, if possible: a superb wine, preferably white. 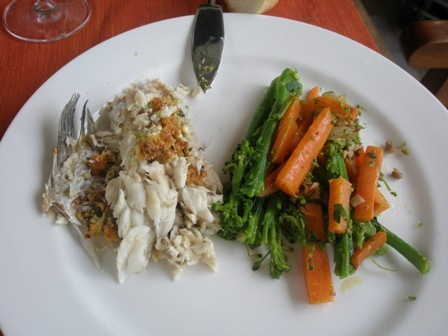 I admit that sometimes I drink red wine with fish but most of the time I select a white. Since I love to drink Riesling wines, that’s often my preferred choice. 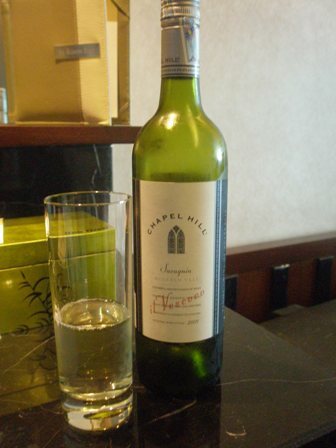 Another option I like is Sauvignon Blanc. But it needs to be a really good one. 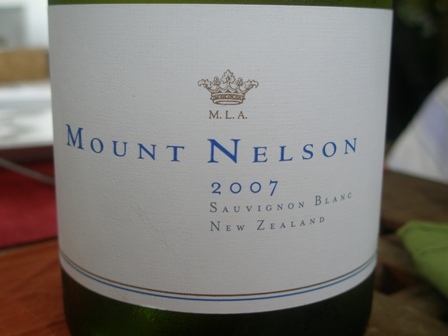 I like Sancerre style wines and the ‘2007 Mount Nelson Sauvignon Blanc’, from the Marlborough wine region of New Zealand seemed to be the right stuff. But I did not buy the bottle because SB wines from New Zealand are in fashion right now. 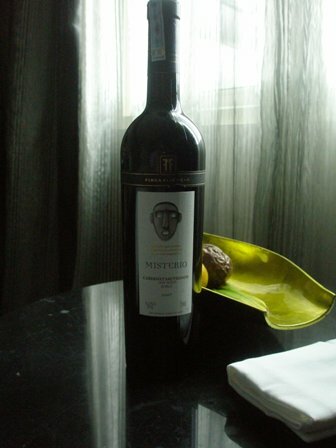 I bought it because the Mount Nelson brand is a project of a famous Italian wine dynasty, the Antinori’s from Tuscany. Piero and Lodovico Antinori are the 26th generation of Italy’s most famous wine family. I wanted to know how their interpretation of New Zealand SB fruit would turn out. I should not be disappointed as it turned out later. In 2004 the Antinori brothers bought for US$ 1.8 million a 32 acres vineyard on the banks of the Taylor River near the mouth of Cloudy Bay not far from the Wither Hill Vineyard. 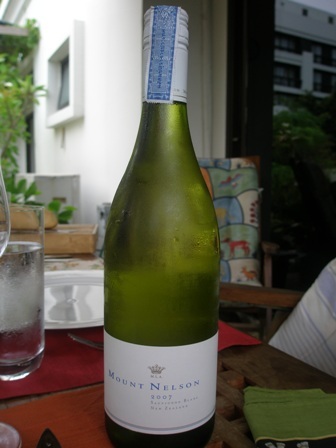 To make the Mount Nelson SB additional fruit (about 40%) is purchased from the adjoining Meadowbank vineyard. The 2007 vintage is just the best ever. This is the unanimous verdict of the wine critics (91 Parker points). I can only confirm this. My recommendation: buy buy buy. 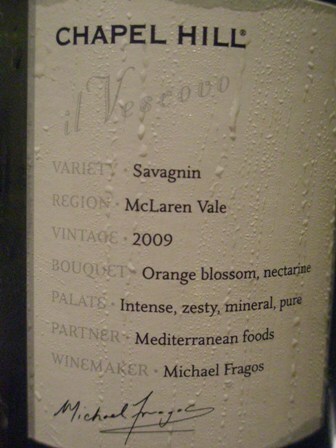 The wine has zest, is fragrant with lime and lemon flavours and some mineral notes. The colour is beautiful straw-like. The finish is lasting. I forgot the alcohol content and the price. But rest assured if I see it in my local market again, I will buy all the bottles on the shelve. In early July, we will be in Italy. There I will taste some more of the Antinori wines. This time Italian wines. You are currently browsing the The Man from Mosel River blog archives for June, 2010.